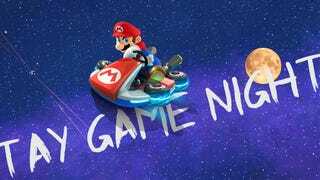 If you're feeling the urge for intense kart race action why not join me for a few rounds of Mario Kart 8 tonight. If we get enough people in on it, I might create a tournament for it. Feeling more like zombies and PC gaming? DisturbedShadow is hosting L4D2, visit that post if you're looking to join! You can find everyone on the TAY Gaming IDs spreadsheet. Be sure to take a look at the the December Game Night schedule or organize your own TAY Game Night!